Electronic transactions have vastly simplified the way many industries document deals. Several of my automobile dealership clients have inquired as to whether vehicle transactions can be documented electronically. Currently, the answer to that question is no. Despite the aging equipment used to memorialize deals found in many automobile dealerships, including dot matrix printers with cutting edge 1980s technology, California has exempted new and used vehicle leases and sales from its version of the Uniform Electronic Transactions Act (“UETA”). In reviewing the apparent contradiction between the prevalence of electronic signatures and the prohibition on the same for vehicle sales and leases, we first must look at the governing law. Cal. Gov. Code § 16.5 generally allows the use of a “digital signature” so long as it complies with a few requirements. Primarily the requirement that the authenticity of the signature can be authenticated. (Cal. Gov. Code § 16.5(a)(1)-(5).) On its face, Section 16.5 allows electronic signatures for documents submitted by a dealer and a buyer to the Department of Motor Vehicles. Going beyond just documents submitted to public entities, Cal. Civ. Code § 1633.7, which applies to contracts/signatures in general, essentially states that electronic signatures may not be denied “solely because it is in electronic form.” (Cal. Civ. Code § 1633.7(a).) Section 1633.7 goes on to state that “[a] contract may not be denied legal effect or enforceability solely because an electronic record was used in its formation,” and that “[i]f a law requires a signature, an electronic signature satisfies the law.” (Cal. Civ. Code § 1633.7(b) & (d).) 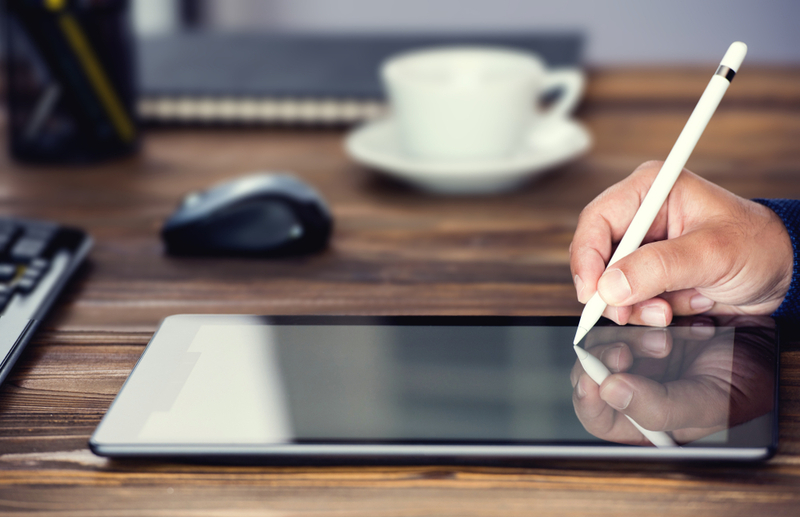 Given California’s broad acceptance of electronic signatures, which is codified by Cal. Civ. Code § 1633.6(1) and which notes that the purpose of these laws is “to facilitate electronic transactions consistent with other applicable law,” many dealers are confused as to why then they are not allowed to use electronic signatures for vehicle sales and leases. For reasons unstated in the law, California has exempted new and used vehicle sales and leases from its version of the UETA. (Cal. Civ. Code § 1633.3(c).) While electronic documentation certainly has an appeal with respect to potentially streamlining how deals are documented; i.e. reduced overhead costs, electronic records, etc. ; automobile dealers in California can not yet take advantage of these benefits. This is particularly galling in an industry rampant with litigation claims of forged documents. Electronic documents have the potential to reduce these claims. In 2017, former Assemblyman Matt Dababneh from the 45th District and Assemblyman Member Obernolte from the 33rd district authored a bipartisan bill that would have amended California’s existing law and allowed the use of electronic signatures in vehicle sales and leases. (https://leginfo.legislature.ca.gov/faces/billTextClient.xhtml?bill_id=201720180AB380; AB 380.) The goal of AB 380 would be to bring vehicle sales and leases into the permissible transactions authorized by California’s version of the nationally accepted UETA. However, as of the writing of this article, California has not taken any steps to bring auto dealers into the 21st century as it relates to electronic signatures. For the time being, California’s automobile dealers are still required to obtain wet ink signatures in all of their sales and leases.